The ShieldWall system combines the optimum combination of high puncture protection and the low rolling resistance with low weight. This is made possible by an additional, all-round puncture protection layer, which consists of a finely woven cross fabric. This gives the tire a high resistance to punctures and damage. Despite its additional ply, the tire has a very good damping property and a high degree of flexibility to adapt perfectly to the ground. 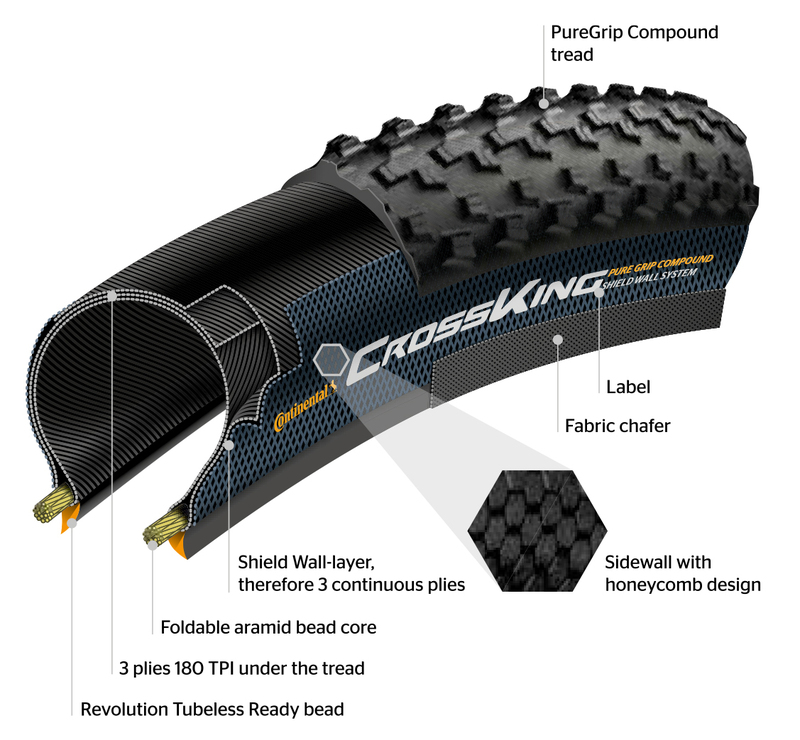 The revolutionary tubeless ready bead allows easy and uncomplicated mounting of the tire. For best results in sealing and in use, we recommend the use of the new Continental RevoSealant sealant.